What good is signing up for a household name branded casino if you don't know much about it? 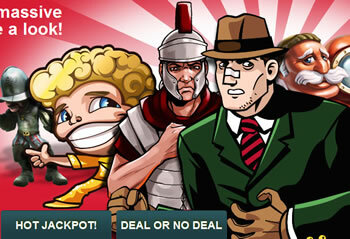 Read my full review of Ladbrokes Casino and discover why this is a great choice! There are plenty of really good online casinos to choose from these days. If you want to play it safe and opt for a well known High Street name, you can't get much better than the Ladbrokes brand. But how much do you know about their online casino arm? My bet is that you don't really know that much about it, but you're probably willing to sign up with this casino purely based on the feel good factor of the well known name, right? That's fine and you're doing the right thing by choosing a big name that belongs to a long established, highly trusted and well respected business in the gambling industry. You're also right to believe that by choosing Ladbrokes, you are protecting yourself from some of the risks that come with playing at a less well known brand of casino. There are many pitfalls to signing up with an online casino that you don't really know much about. While many are actually legitimate and honest, there are some that are known rogues and can be found on blacklists. The message is pretty clear: Stay away from unlicensed and unregulated online gambling sites! You can avoid much hassle and heartache by choosing a long established and trusted company like Ladbrokes to provide you with a decent, honest and trustworthy online casino experience. As you are probably already aware, Ladbrokes International PLC is licensed in the British overseas territory of Gibraltar and regulated by the Gibraltar Gambling Commissioner. More importantly for UK customers, it is also legally allowed to operate in the UK and is governed by our own online gambling laws. That means you do have recourse if you need to pursue any kind of claim, although in practise this rarely ever happens. But playing at an online casino is not always necessarily about the safety and trust factors. 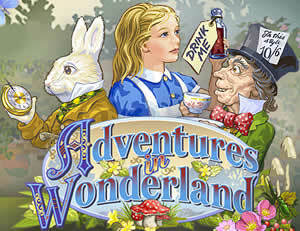 You want to know what this place offers in the way of bonuses, games, thrills and excitement! The Ladbrokes name means peace of mind and you know your money will be in safe hands where you can get access to it immediately when you want it. Not many online gambling sites can match that level of assurance! So what about all those games, the prizes and the overall user experience? Here is an online casino that brings the player all the amazing, exciting games that you'll find at top casinos thanks to the software powerhouse of Microgaming running the show behind the scenes. That means a huge selection of 540+ top game titles, massive multi-million pound progressive jackpots and a complete range of game genres to choose from. There are far too many games to list in this review, suffice it to say you are going to find just about every game you can imagine and some more besides in here! You can choose from the regular casino favourites such as blackjack, roulette, craps etc or try one of the hundreds of slots and video slots games. If you're looking for something a little out of the ordinary, there are arcade games, card games, racing games and much, much more. Don't forget the progressive jackpot games that come with million pound plus prizes attached that can literally change your life overnight! Bonuses will be automatically credited to your account upon depositing the required amounts (minimum £10) up to the maximum for each subsequent deposit. Slots Midweeker: you can play 5 Reel slots every Tuesday and Wednesday to be in with a chance of earning yourself 200 free spins! Mystery Giveaway Tables and Video Poker: play any Ladbrokes Casino game such as video poker, blackjack, roulette or baccarat every Tuesday and Wednesday to be in line to receive a cash drop bonus! Daily Bonus Drops: These bonus drops are offered every day. You just need to be logged into the casino to be eligible. Reel 'em In: Here is a chance to earn free spins every Friday and Saturday each week. As well as the regular promos that are on offer, you will periodically get special promotions sent to you in your email, so remember to keep an eye on your inbox because something really nice might just drop into it and you want to know about it right away to take advantage! I hope you have enjoyed reading this fairly long, detailed and highly informative review. Chances are that if you've come this far, you're interested in becoming an active member of Ladbrokes Casino, am I right? A: Once you have clicked the ad banner (above) and been redirected to the official Ladbrokes casino website, you can choose to download the free casino software (recommended for the absolute best gaming experience) or play the Instant Play version via the website. Follow the instructions to sign up and complete the simple signing up form with your real details. Q: Do I Have to Provide My Real Details? A: You'll need to provide your real details for the financial verification process to complete successfully. This is so that your account will function correctly. Q: Do I Have to Use a Real Email Address? A: Once you have signed up you will need to verify your email address to complete the process. This is why you should provide a real email address that you read periodically. This step adds a further level of security to your account. Q: Can I Play for Free? A: You can choose to play for fun money to get used to the games for as long as you wish. This costs you nothing, but be aware that you cannot win any real money either. To do that you will need to deposit some real money into your account and start playing to win real money! Q: What is the Minimum Deposit I can Make? A: You can start by depositing as little as £5, although if you want to take advantage of the 100% deposit match bonuses, you need to deposit a minimum of £10. You can deposit as much as you want, although there is an upper limit on how much bonus you can receive, which is £500 (as an example, when you deposit £500 you will receive £500 as a bonus). Q: What is the Best Way to Deposit Money into My Account? A: You can use any of the payment methods accepted by the site, These include all major credit and debit cards, online payment processors such as PayPal, Neteller and Skrill, e-wallets like Ukash and bank transfer. Simply choose which method you prefer and follow the on-page instructions on depositing money. Q: Who owns Ladbrokes Casino and where is it licensed? A: The owner is Ladbrokes International PLC, Suites 6-8, 5th Floor, Europort, Gibraltar and is licensed (RGL Nos. 010, 012 & 044) by the Government of Gibraltar and regulated by the Gibraltar Gambling Commissioner. Q: What Are the Cashout Limits? A: You may cash out up to a maximum of $3,000 per week. You can contact customer support if you wish to withdraw greater amounts and a special dispensation may be granted. Withdrawals can take up to 5-7 days to complete.